The preceding is the clearest picture to our knowledge that has been gathered of an unidentified space craft just outside the atmosphere. The photo was graciously presented to us by one of our generous friends. Unfortunately, we do not know how the picture was taken or from what source, but it is presumed to be from NASA. What could the object be? - It could be a computer game image and we are being fooled. However, the complexity of the atmosphere of the planet in the photo seems to indicate a real source. - Could this object be a satellite or a piece of space junk? It could possibly be one of these things, although a satellite is unlikely unless one of these objects was about to re-enter the Earth atmosphere as gravity pulls it in. - Could it be an extra terrestrial space craft? This possibility excites us at Arcturi the most. 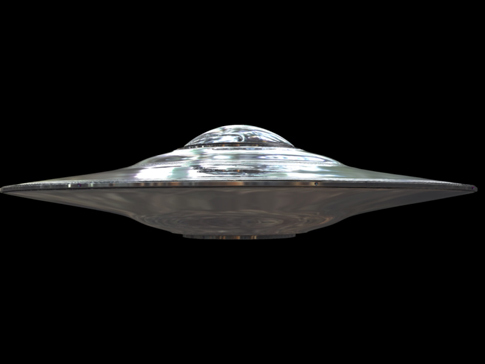 Further more, if the object is indeed an extra terrestrial craft, it does not seem to embody the typical characteristics of a "UFO." This fact is also exciting as it could be evidence for a craft belonging to another alien race (other than Greys) such as the Arcturians, Pleiadians, or Reptilians. This is Alien satellite most likely Arcturian.